EARNINGS AND INCOME DISCLAIMER: Conjuror Community, LLC (“Conjuror Community”) can not and does not make any guarantees about your ability to get results or earn any money with our ideas, information, tools, or strategies. 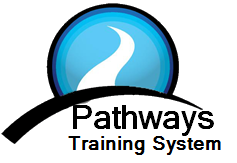 What we can guarantee is your satisfaction with our training. We give you a 60-day 100% satisfaction guarantee on the products we sell, so if you are not happy for any reason with the quality of our training, just ask for your money back. You should know that all products and services by our company are for educational and informational purposes only. Nothing on this page, any of our websites, or any of our content or curriculum is a promise or guarantee of results or future earnings, and we do not offer any legal, medical, tax or other professional advice. Any financial numbers referenced here, or on any of our sites, are illustrative of concepts only and should not be considered average earnings, exact earnings, or promises for actual or future performance. Use caution and always consult your accountant, lawyer or professional advisor before acting on this or any information related to a lifestyle change or your business or finances. You alone are responsible and accountable for your decisions, actions and results in life, and by your registration here you agree not to attempt to hold us liable for your decisions, actions or results, at any time, under any circumstance. This policies and procedures applies to all Conjuror Community & Aaron Fisher Magic products sold on this site or any other site owned by Aaron Fisher or Conjuror Community that includes a link to this page. Monthly Subscriptions: You have THIRTY (30) Days from the date of the original purchase to request a refund for your CONJUROR.COMMUNITY monthly subscription. Any refund request after the THIRTY (30) DAY time limit will not be processed. You may cancel at any time after the initial THIRTY (30) Days has passed. Yearly Subscriptions: For yearly subscription purchases, you have THIRTY (30) Days from the date of the original purchase to request a refund for your Conjuror.Community yearly subscription. Any refunds requests after 30 days will be prorated by the amount of time remaining under the original yearly subscription period. Example: If you purchase a yearly subscription in January of this year and you decide you want a refund 6 months from the purchase date, youre prorated refund would be 50% of the purchase price. Shipping of the product from Aaron Fisher Magic, LLC to your door will not be refunded. Shipping of the product to the Aaron Fisher Magic, LLC Refund Department will not be compensated. Terms of Subscription Renewal Monthly Subscriptions automatically renew each month at the stated retail price until the subscription buyer notifies the company that they wish to cancel. Please refer to Returns & Subscription Cancellations section of the Terms of Service page. Yearly Subscribers will be notified via email prior to renewal with the option to renew at the original yearly price. If the subscriber does NOT notify the company that they wish to continue at the yearly price, the subscribers account will revert to the monthly price automatically. When purchasing a "membership product", such as Conjuror.Community, Miracle Man Method, Pathways Training System, and other programs from Aaron Fisher Magic, you are prompted to check a Terms & Conditions box upon checkout. By checking that box and continuing to register for a membership product, you have agreed that your voice, name, and image may be recorded by various mechanical and electrical means of all descriptions (such recordings, any piece thereof, the contents therein and all reproductions thereof, along with the utilization of my name, shall be collectively referred to herein as the "Released Subject Matter"), Therefore, in exchange for Live Training Sessions by Aaron Fisher, receipt of which is hereby acknowledged ,you hereby freely and without restraint consent to and give unto the Site Owners and its agents or assigns or anyone authorized by Aaron Fisher, (collectively referred to herein as the "Releasees") the unrestrained right in perpetuity to own, utilize, or alter the Released Subject Matter, in any manner the Releasees may see fit and for any purpose whatsoever, all of the foregoing to be without limitation of any kind. Without limiting the generality of the foregoing, you hereby authorize the Releasees and grant unto them the unrestrained rights to utilize the Released Subject Matter in connection with the Video's advertising, publicity, public displays, and exhibitions. You hereby stipulate that the Released Subject Matter is the property of Aaron Fisher to do with as it will. You hereby waive to the fullest extent that you may lawfully do so, any causes of action in law or equity you may have or may hereafter acquire against the Releasees or any of them for libel, slander, invasion of privacy, copyright or trademark violation, right of publicity, or false light arising out of or in connection with the utilization by the Releasees or another of the Released Subject Matter. It is your intention that the above mentioned consideration represents the sole compensation that you are entitled to receive in connection with any and all usages of the Released Subject Matter. You expressly stipulate that the Releasees may utilize the Released Subject Matter or not as they choose in their sole discretion without affecting the validity of this Release. This Release shall be governed by United States law.